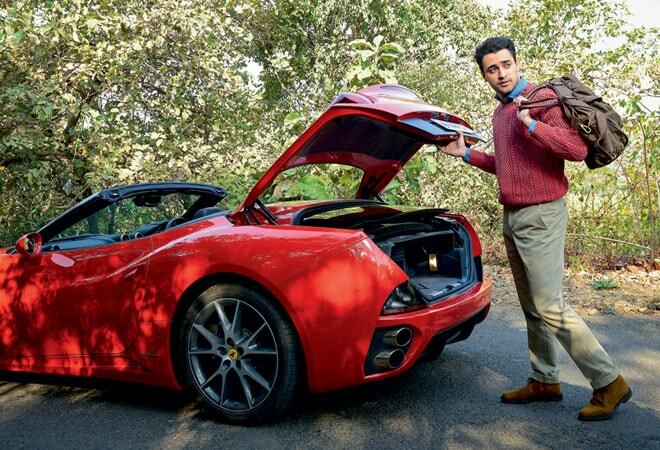 Imran Khan has been in love with the Ferrari ever since he, as a child, found an F14 model under his Christmas tree. 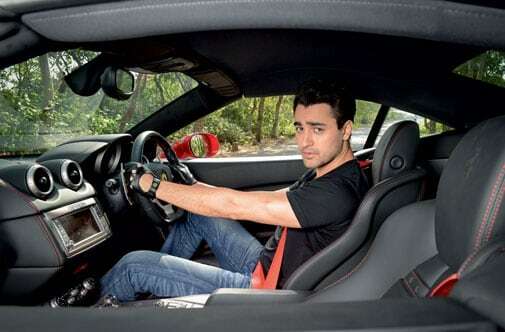 The actor speaks on his love for automobiles. There are not many places in potholed Mumbai where Imran Khan can take his most prized possessions - his cars - out for a spin. So, when asked to drive his Ferrari California down to the sylvan, smooth roads of Film City in Goregaon, the Delhi Belly actor seemed more than eager. Khan's obsession with cars dates back to when he was just eight years old, and Santa Claus dropped by his house to leave the miniature model of a Ferrari F14 under the X'mas tree. Though he hadn't really asked for the gift, he felt elated and rather impressed with Santa's good taste. Today, Khan holds on to that model as he continues to pack the driveway of his residence in Pali Hill with swanky cars. His wife Avantika admittedly doesn't share the same enthusiasm, but he isn't complaining. He just hopes that his baby girl, Imara, grows up to love cars as much as he does. To say that Khan is particular about his cars would be an understatement, given that he washes them himself. Further proof? During the course of the photo shoot, he kept polishing the bonnet of a car, and while driving, he would give the other cars a wide berth to ensure that his vehicle suffers no scratch or dent. Driving holds a dear place in Khan's heart. "I find it therapeutic," he says. "I don't really do things that people find exciting or interesting. This is one place where I allow myself some leeway." I first drove a Ferrari when I bought one in February 2012. Prior to that, I never got a chance to drive one. I let all my friends drive my cars. The day I got it, every one of the boys took it out. You have to. I don't like bikes at all. There are some people who do, but I have no interest in them whatsoever. For me, cars are sculptural As something to look at, I find them stunningly beautiful. There is always this balance that designers and engineers are trying to achieve between form and function. You want it to look beautiful, but you want it to be fast and stable at the same time. 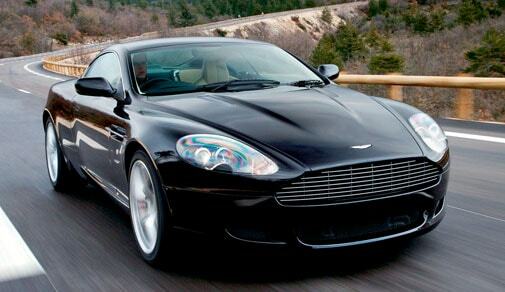 The next car that Imran wants to drive is Bond's very own, the Aston Martin B9. The grand tourer costs Rs 2.9 crore. My first car was a champagne coloured Maruti Zen VXi. I got it when I was 21. It was the last of its kind, because they changed its design soon after. I kitted it out myself. I got black leather interiors, and removed the front seat headrests to make the car seem larger. I spent every rupee I had on a kickass sound system. I have marvellously fond memories of that car. It is still around. I sold it to an employee in my office, and he brings it to work daily. It's therapeutic. In fact, I enjoy driving alone because when there are other people in the car, I feel responsible for them. So I have to drive in a different, safe and by-the-letter, way. When there aren't any people with me, then I am only responsible for myself, so I can have more fun. Avantika doesn't enjoy driving much. She is a very nervous passenger. I enjoy performance driving. I've worked hard to become a better driver. I'm a very staid person otherwise. This, for me, is one place where I allow myself some leeway. Imran is happiest when he's driving alone, because he can then let himself go. People started gathering. An officer came to me and said that there was a complaint against us. I couldn't really argue, considering that I was actually breaking the law by speeding. He looked at me for two seconds and said it wouldn't look nice if he gave me a ticket. So he took my friend's licence and gave him one. He was just sitting next to me. They let the rest of us off with a warning. My favourite was always a Ferrari. Now that I have one, the next thing I want to drive is an Aston Martin DB9. It was the car used in Bond films, and sounded like it had a pack of hungry dogs under the hood. All cars sound different. The sound of the Ferrari is very different from that of the Lamborghini or Porsche. Most sports cars tend to have engines in the rear but there is a genre called GranTurismo, which is a touring car meant for cross country races. It is meant to be a bit more comfortable and luxurious, but still performance-oriented. Aston Martin is one of them. It is unlikely to die. There is a very distinct personality type of people who like Lamborghini and Porsche. A Ferrari-type, on the other hand, is classic and cultured.